Jerry Ordway is one of the biggest Superman artists of the 1990s! 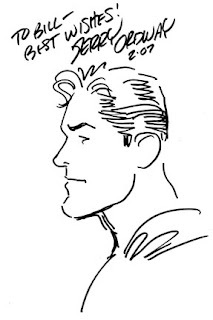 He was only signing at the DC Booth for a short time, and was kind enough to do a very quick sketch of Superboy! Newer readers will know Ordway from his nice work on INFINITE CRISIS.